Well, she should know. 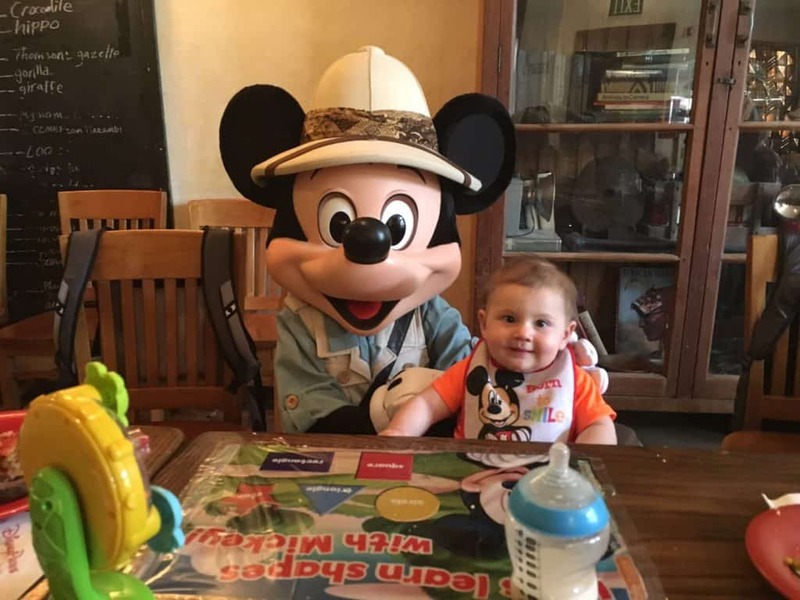 This is a woman in her mid-thirties who has been to Disney World at least once a year since childhood, she’d told me, which adds up to … well, a lot of visits to Disney restaurants. 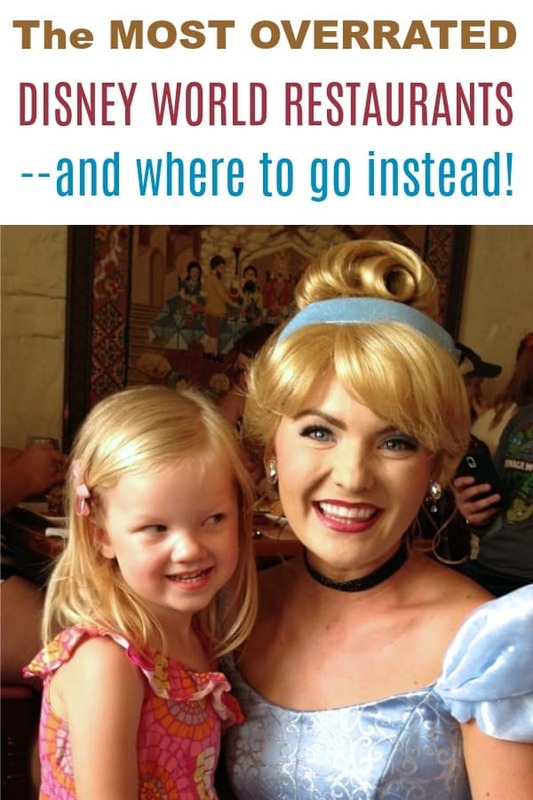 Earlier this year my two daughters were eager to go back to Disney, while my son and my husband didn’t particularly care one way or the other. 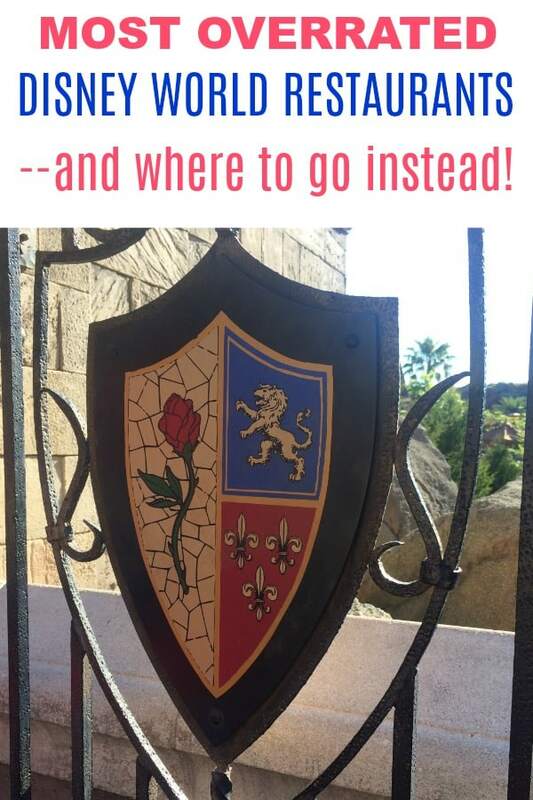 Since we didn’t have the money at the time for all five of us to go, we split up one week in September — the guys drove to the next state to relatives, while we girls went to Disney, just the three of us. 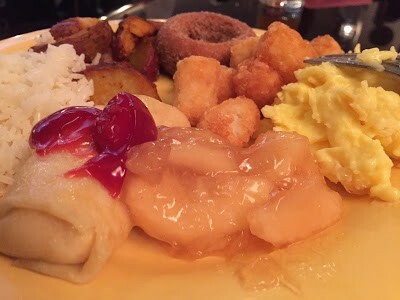 While planning the trip, I remember my eye doctor’s wise words and made a Tusker House breakfast our number one priority when making dining reservations. 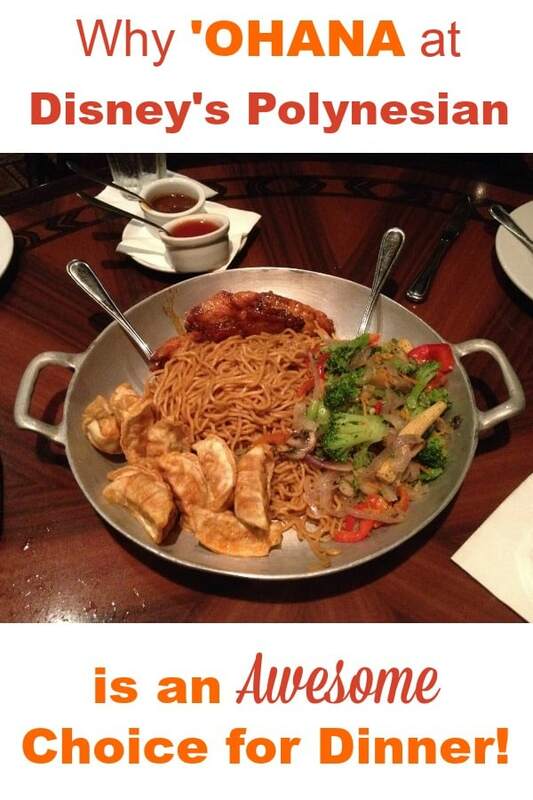 The restaurant serves breakfast, lunch, and dinner. 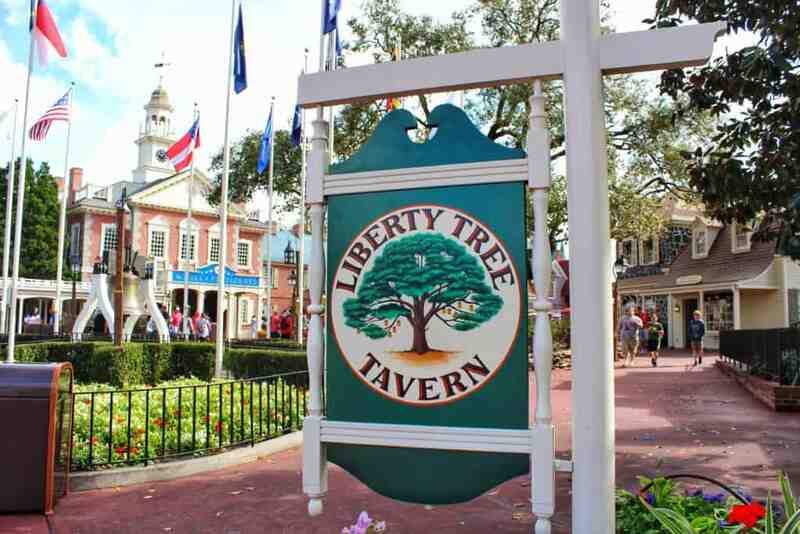 Is is themed to look and feel like a Harambe marketplace, and there were, in fact, cast members performing on African drums outside the restaurant as made our way in. 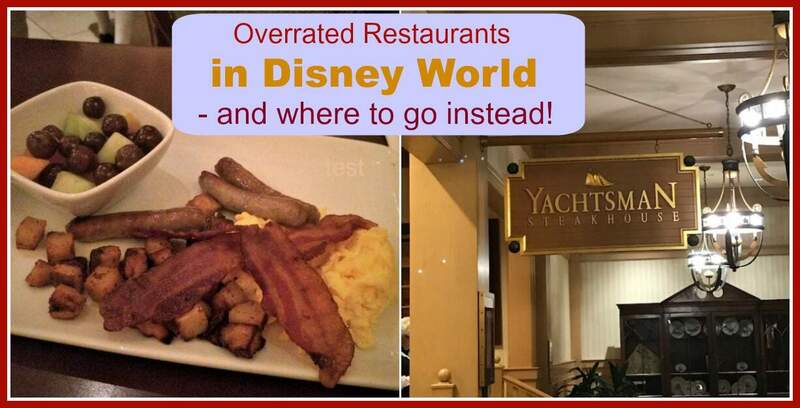 The one downside I would say about the restaurant was that it had a “dark and busy” feel to it. Obviously that’s somewhat by design, but for that reason I felt a little more cramped and didn’t enjoy the environment quite as much as, say, the buffet at The Crystal Palace. 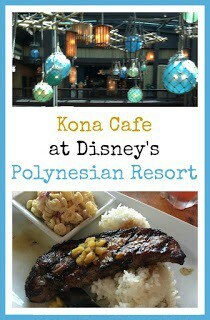 The actual food at Tusker House, however, was much better than it was at The Crystal Palace. I guess there’s always a trade-off. 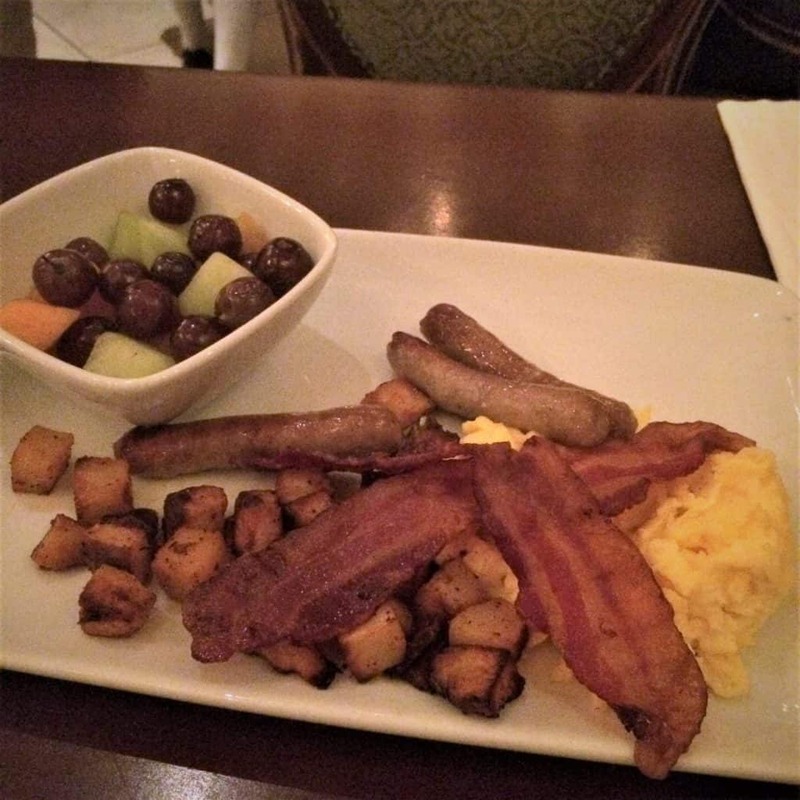 Not surprisingly, the food has an African influence, so it was more varied and unique than your typical breakfast, but without being bizarre or incredibly spicy. 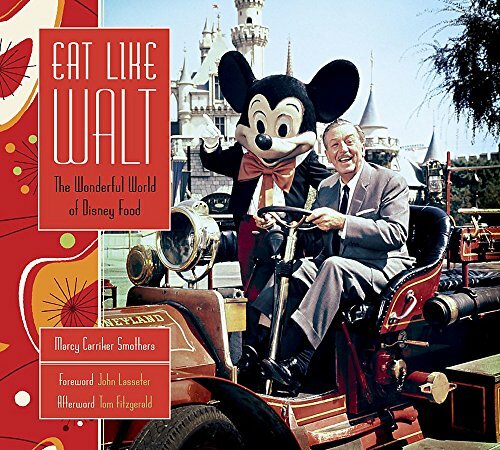 In addition, a fair amount of the food — maybe one third to one half — is “plain old American” type food, like Mickey Mouse waffles and basic fresh fruit, so there should be something (or multiple somethings) for everybody. 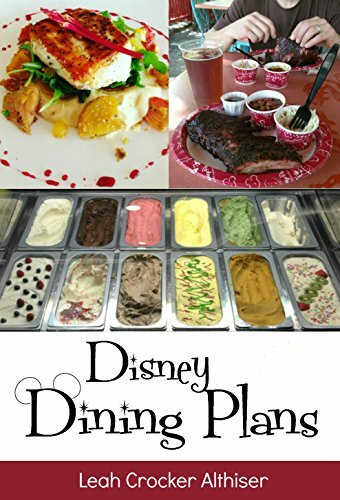 I absolutely loved the Coconut Sweet Potato Casserole, the Sweet Plantains, and the Banana-Cinnamon Banana Pudding (oh my gosh, that was good!). I also really enjoyed the Basmati Rice with Lemon Cinnamon and Cardamon. The girls particularly loved the scrambled eggs (I don’t know if there was something particularly “African” about the eggs, but Rachael thought they were amazingly good) and the Cheese Blintzes which came with an optional cherry or apple topping. The meal also comes with something called Jungle Juice, which was a combination of orange, guava, and passion fruit juice that we loved. 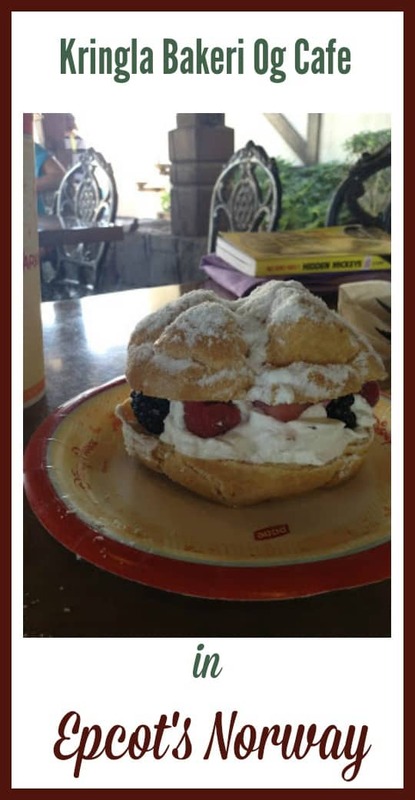 It was very thick and sweet in a natural-fruity way. One of the girls — I won’t say which one — chugged two full glasses pretty quickly because she loved it so much. 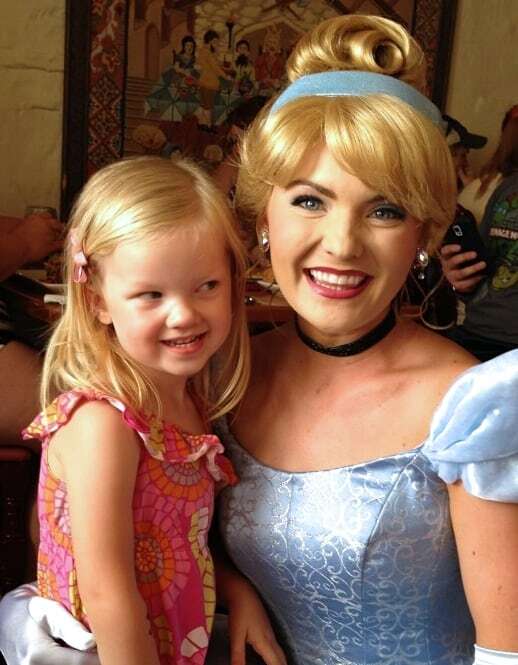 I wouldn’t recommend this, as it made her feel a little sick afterwards. So consider that your Java Juice Warning. 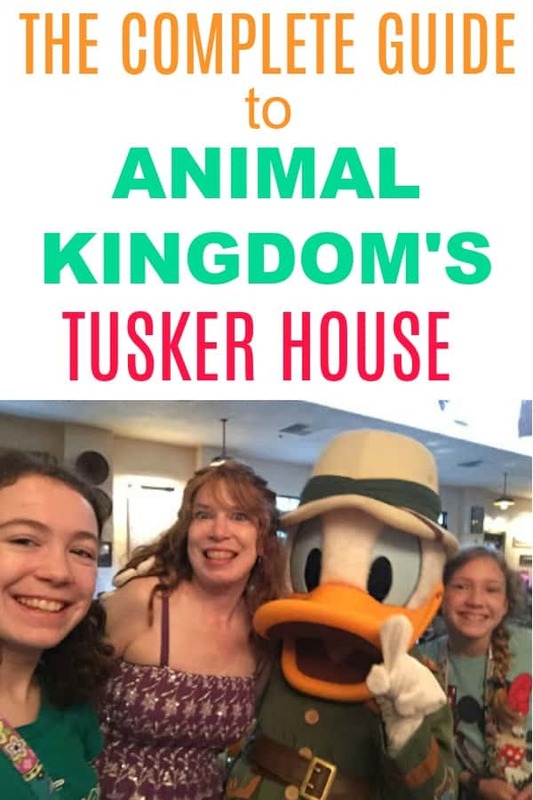 The Tusker House is home to Mickey, Goofy, and both Donald and Daisy Duck, all dressed in safari outfits, which is a nice touch. 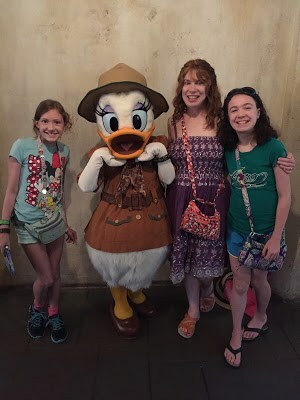 There aren’t a whole lot of places in Disney World where you can find Daisy Duck (the entrance to Epcot is one of the other spots), so that’s a fun treat in itself. 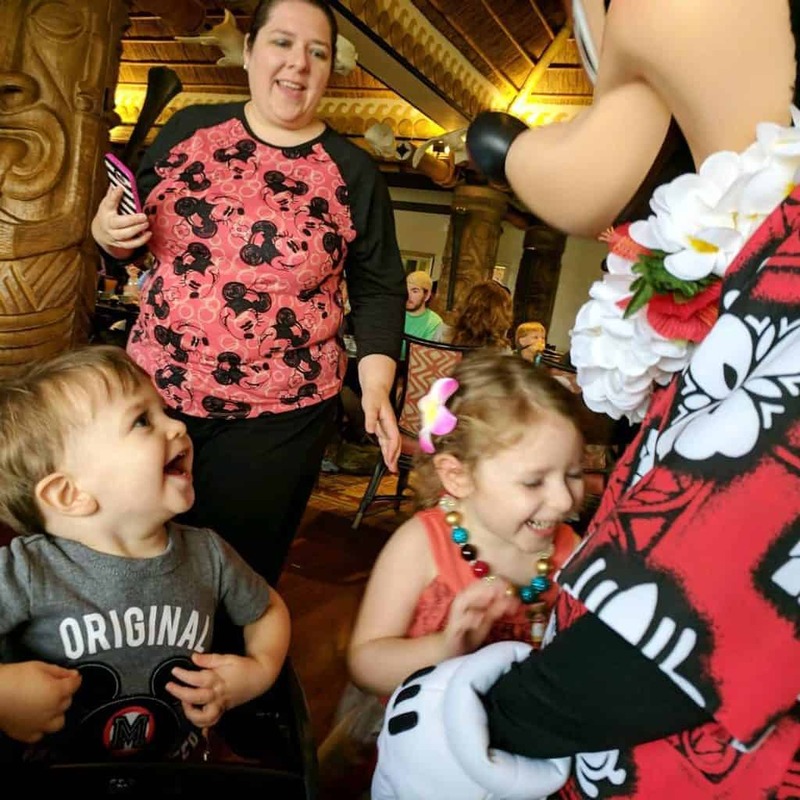 I admit that I’m a sucker for meeting the characters at Disney World, getting full-out giddy like I’m still a kid. I personally prefer the characters like this that are “animals” (ie, Mickey Mouse) as opposed to “people” (ie Cinderella). 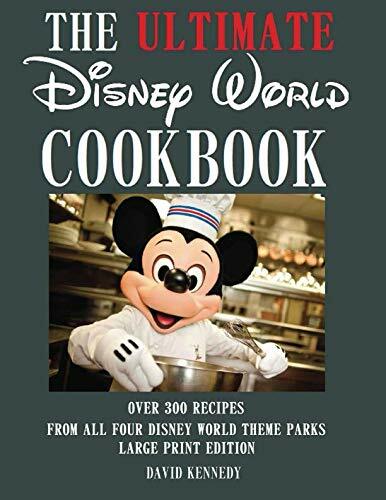 We’ve been to three different character meals with Mickey Mouse and his friends — Chef Mickey’s at the Contemporary Resort, Garden Grill at Epcot, and Tusker House in Animal Kingdom. 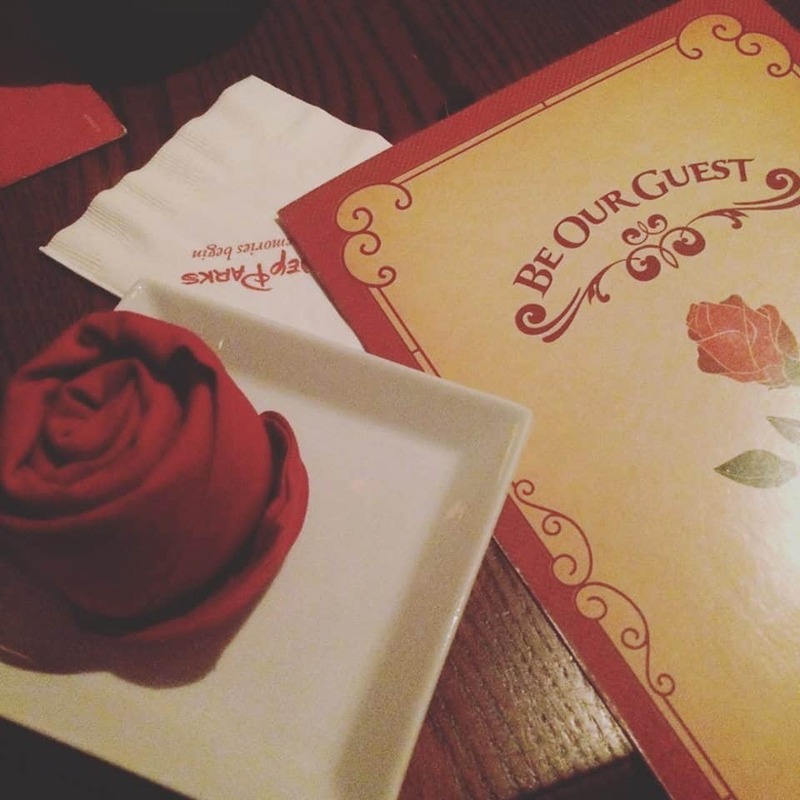 Of the three, Tusker House had the best food by far. 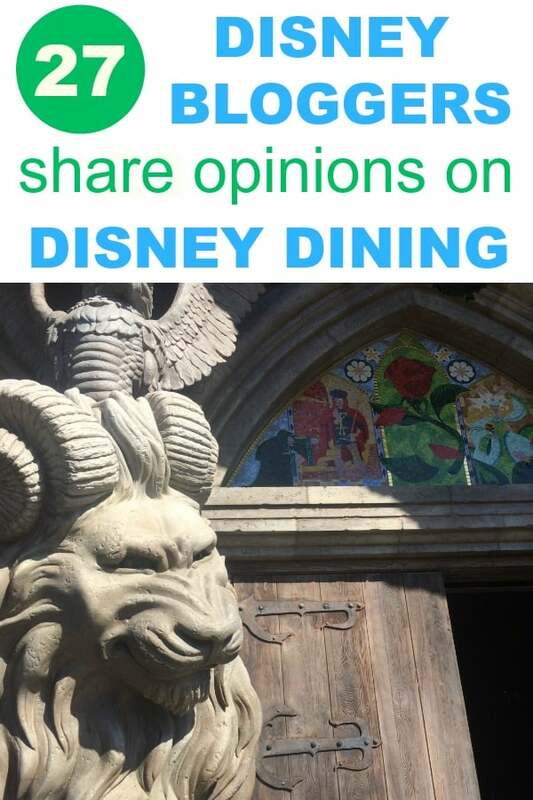 I would say that Garden Grill and Tusker House are tied for best environment, depending on how your personal feelings about buffets, rotating restaurants, and African marketplaces. 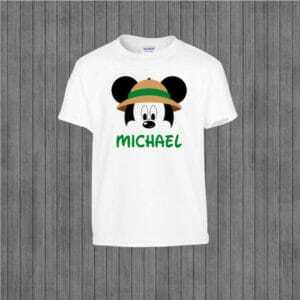 If you want to have a little bit of your own “safari outfit” yourself, then check out this Mickey safari iron-on that can be personalized with your name. 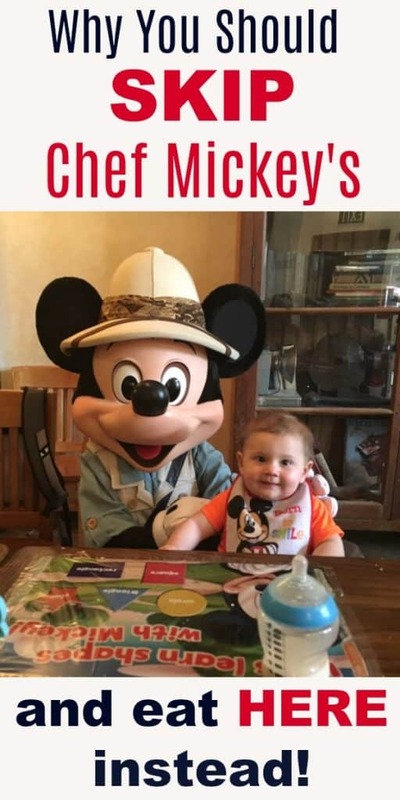 Or you can even get your own safari hat to match Mickey’s! 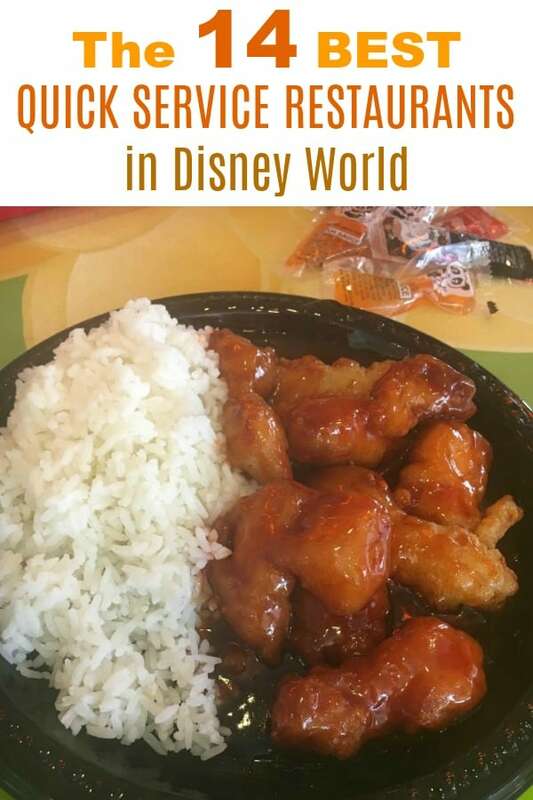 I don’t know if this is typical, but it took us an awfully long time to get to see the characters, especially compared with our other character meals that week. I think we had all finished eating and still hadn’t seen anybody, or even see any sign of them heading our way. 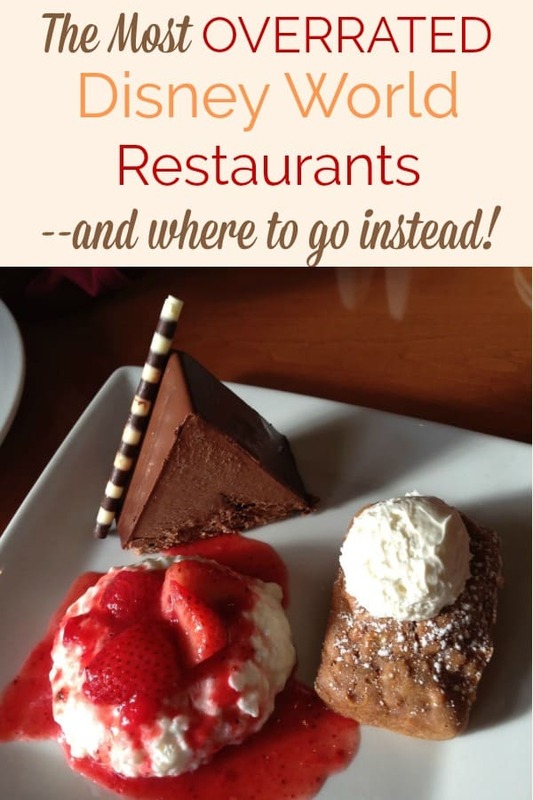 This wasn’t a big problem, but it could have been if we had been on a tight schedule. 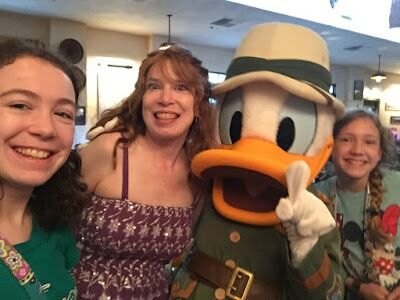 One thing worth noting for any character meal: When Daisy Duck came to our table, one of my daughters was in the bathroom. (She was the one who was not feeling well after OD-ing on Java Juice. 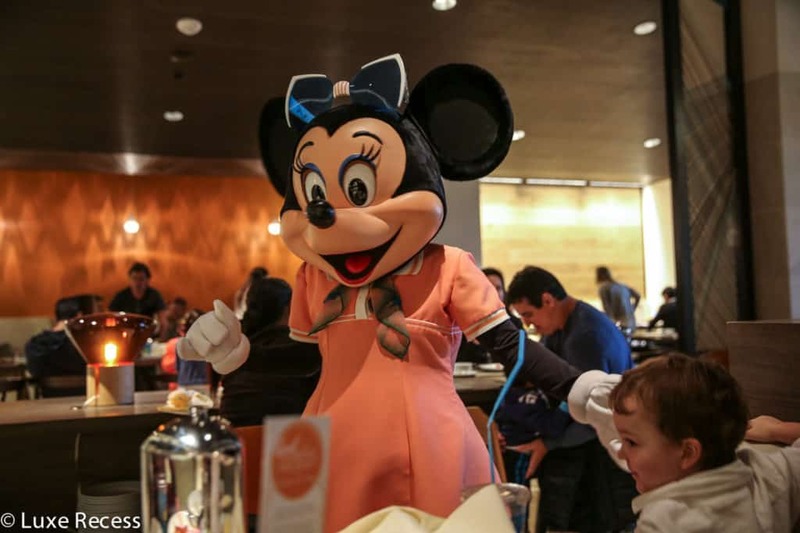 I told Daisy to go on to the next table while we waited, but my daughter was gone for a while and by that time Daisy was in another part of the restaurant. So just keep in mind that if you miss a character for some reason, you can still flag them down — as long as you don’t mind waiting for a few extra minutes. We still got to see Daisy Duck! Dinner and lunch menu items include basmati rice and curry chicken, whole salmon, roasted chicken, roasted pork, fresh breads and pita, tabouli and hummus dips, fruit chutney, and fruit salad. For the kids (although I suppose adults are allowed to eat them too) are mashed potatoes, mac & cheese, corn dog nuggets, and various deli meats and cheeses. 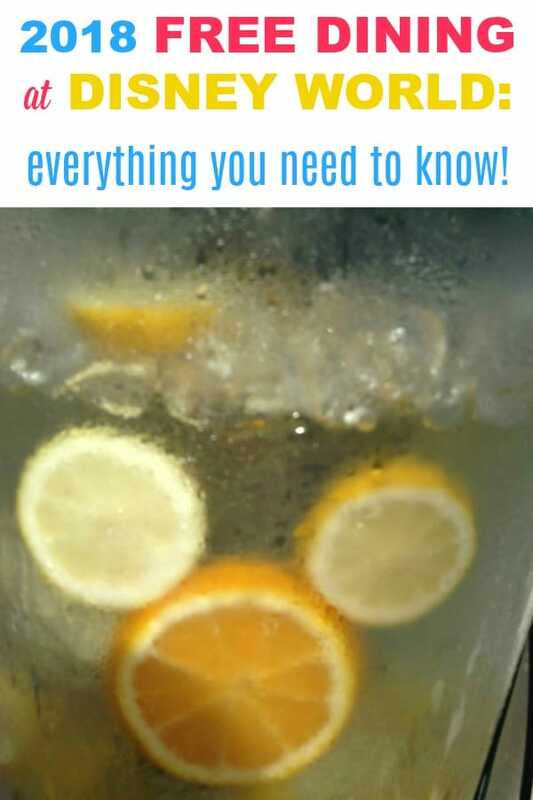 There are also a few alcoholic beverages, including draft or bottled beer, African Margaritas, and Sugar Cane Mojitos. 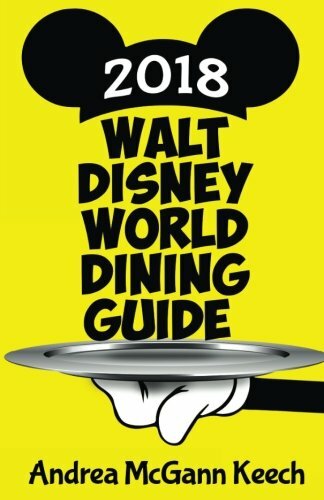 And if you haven’t already heard, one of the changes to the 2018 Disney Dining Plan is that alcoholic beverages are now allowed. 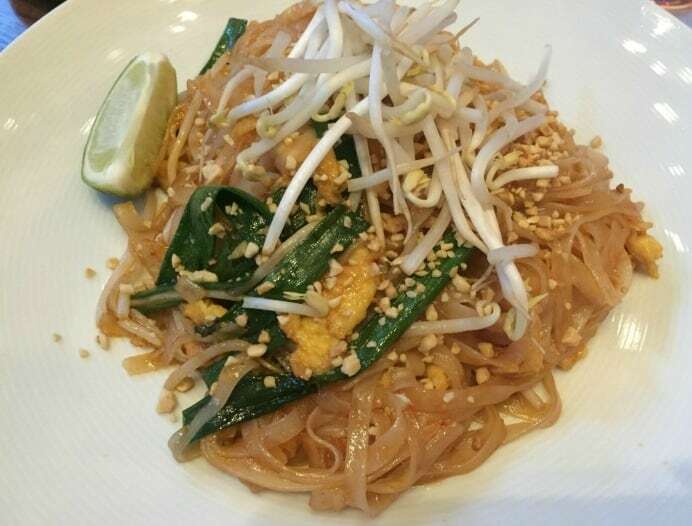 We had lunch there previously and I remember liking it a lot, but that was before I was blogging and doing things like taking photos of my meal, so I don’t remember many details. 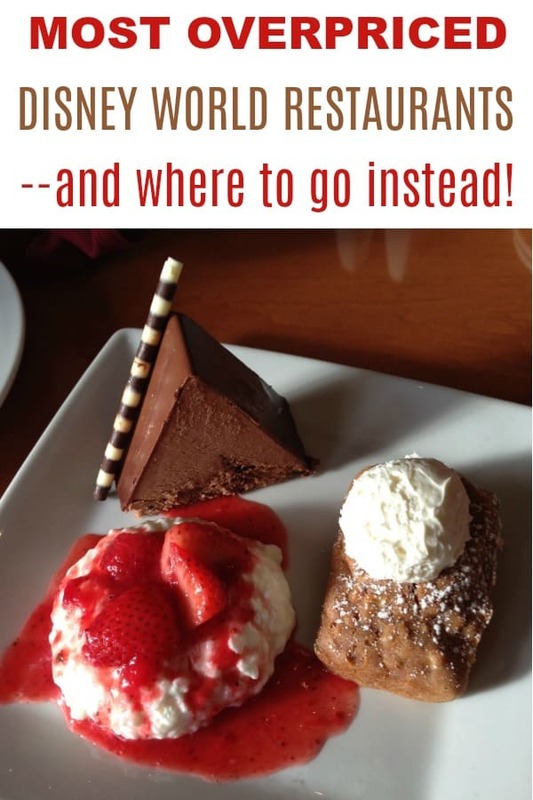 I do remember really liking the plantains and banana bread pudding. 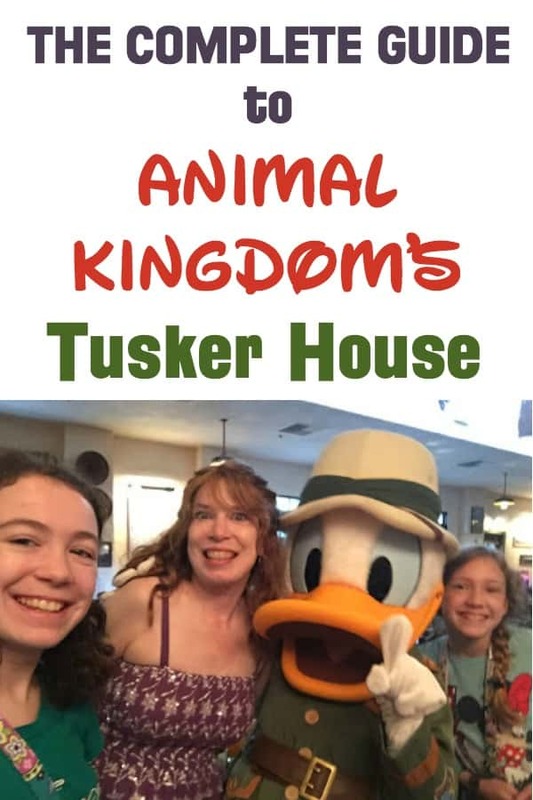 Tusker House is less expensive than some of the other character meals at Disney World. 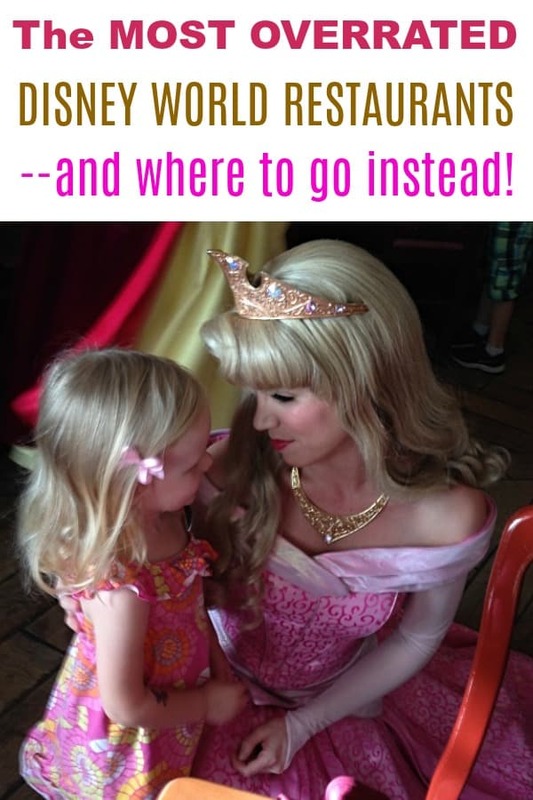 As a point of comparison, the cost of breakfast at Cinderella’s Royal Table — if you’re lucky enough to get a reservation — is between $45-$65 for adults. 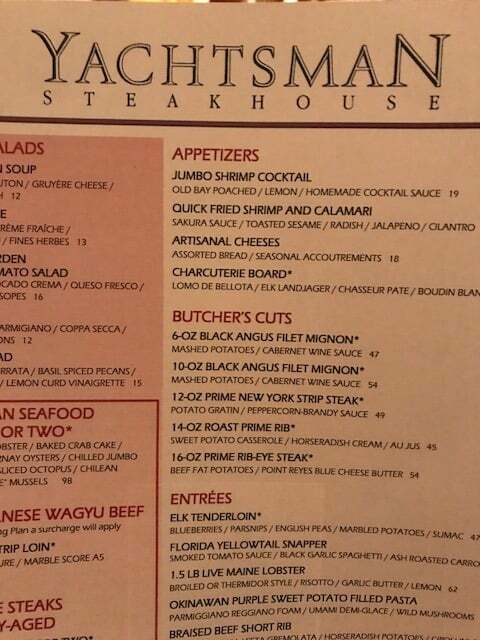 Of course, I personally was not paying much attention to how much it cost at the time because we were there during Free Dining dates. 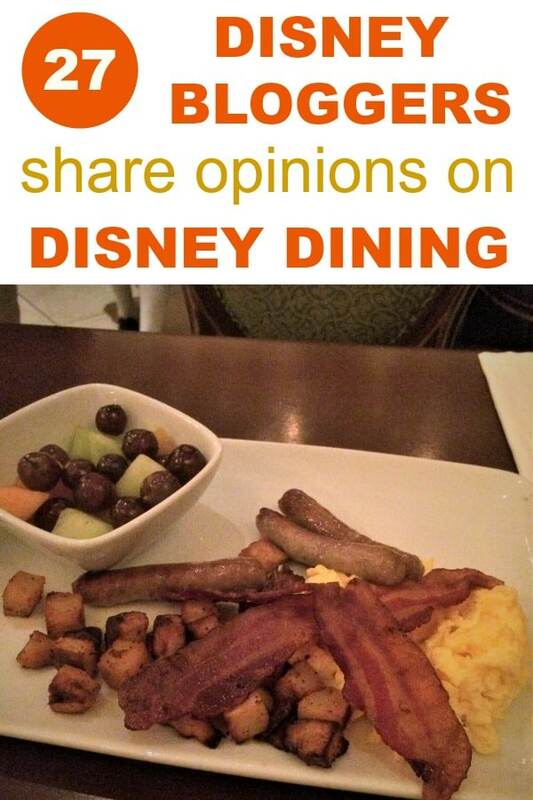 You could reasonably argue that the Tusker House breakfast is a bad choice if you’re on the Free Dining Plan, because you could eat someone else more expensive for no additional cost. 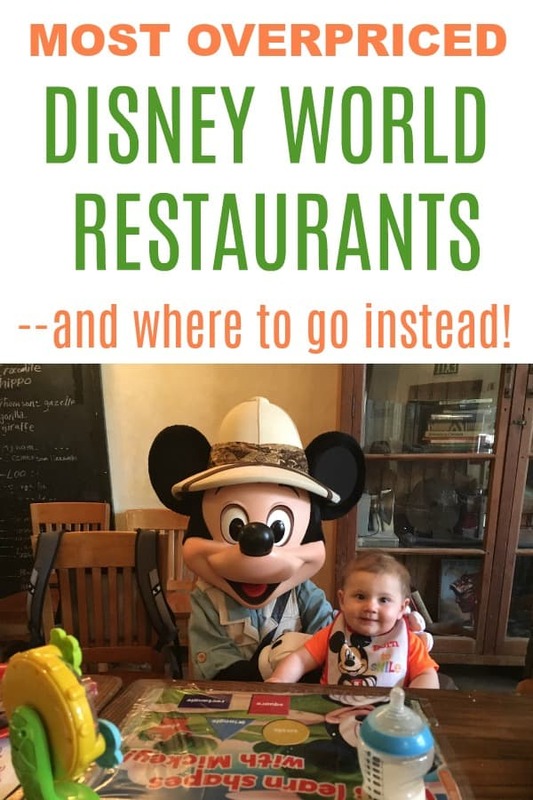 However, our family tends to just eat Wherever We Want to Eat when we go to Disney World and not worry too much about things like that. 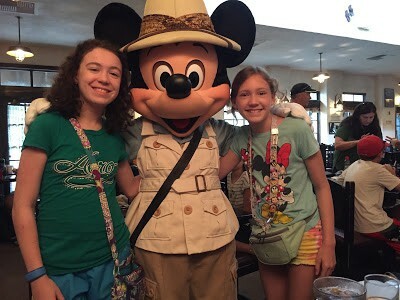 So while the Tusker House isn’t perfect (the noise and slowness of the characters’ arrival were the main downsides), the food is excellent and it’s a great way to meet multiple “classic” Disney characters. 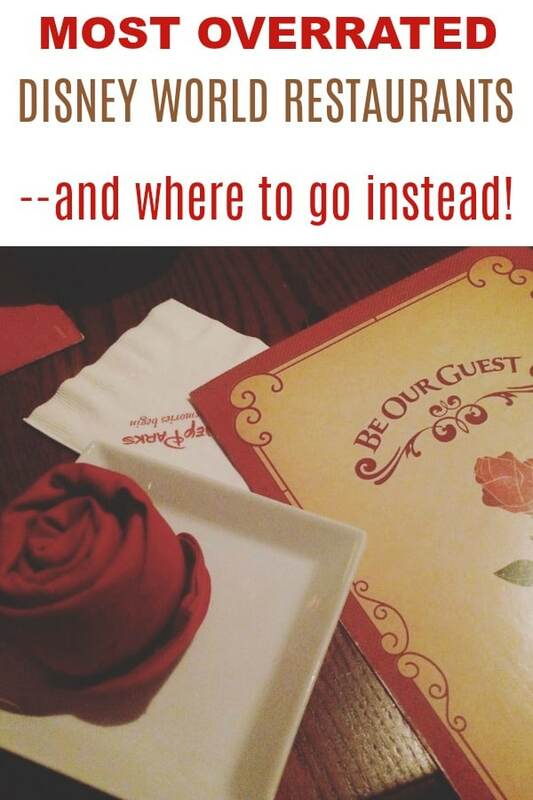 Get a printable Character Dining Cheat Sheet! 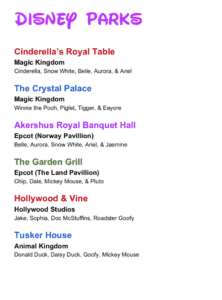 The cheat sheet includes all Disney World character restaurants, their location, and which characters you’ll meet. 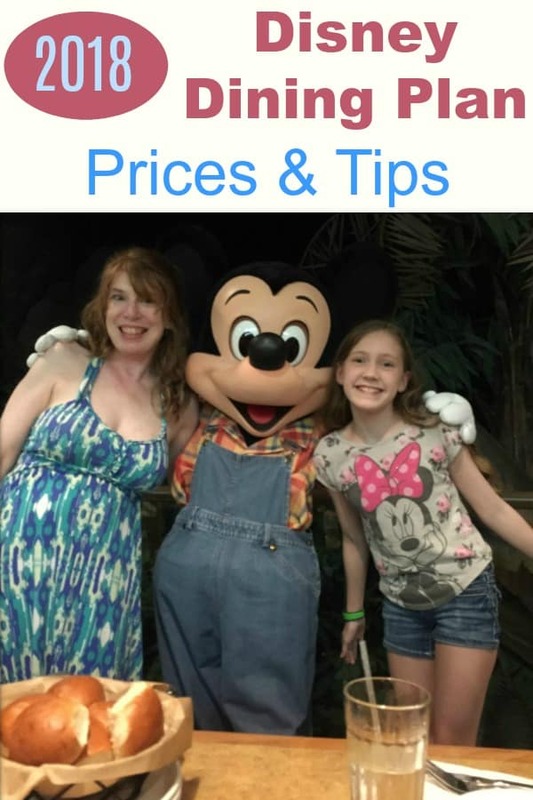 By submitting your email, you’re also signing up for my weekly newsletter of Disney World vacation tips.